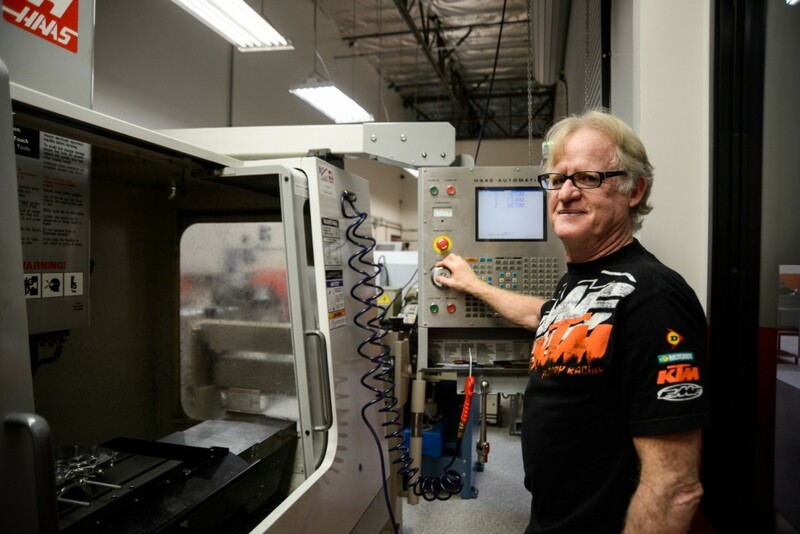 We catch up with engine guru Dudley Cramond in the USA to find out exactly what KTM Factory Services is responsible for, and how he came to be the head of the department! 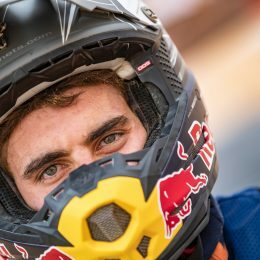 Dudley Cramond began his racing career at the age of 15 in South Africa as a street rider, but is now the central point to the US Factory Services, which supply engines to all of the factory supported Motocross and offroad teams racing in America. He’s one of the most experienced guys in the business and is responsible for all factory motors in the US! With a career that’s spanned numerous decades, Dudley has enjoyed a journey that’s seen his schoolboy passion turn into a long and varied career, after being South African road race champion when he was just 19 years old. Following a works rider that ended with injury, Dudley raced in the UK, finished fourth in the 250 series and tried his hand racing world famous road race circuits such as the Ulster Grand Prix and North West 200, although he crashed out of practice in the IOM TT and never got to race the legendary circuit. Jon-Erik Burleson, KTM North America president, had a vision. He wanted to start a factory services program to ensure every KTM supported team had the right tools for the job to win championships and promote the products in a positive way. 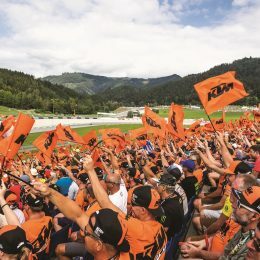 Jon-Erik wanted to supply good and reliable equipment for these teams, so every team that had a KTM agreement began to have supplied motors for practice and racing – the teams don’t touch the engines at all, but have the faith that they are receiving the best technology available to them, and most importantly the motors will be consistently reliable. For a KTM 250 SX-F engine the turnaround is roughly two and a half days. 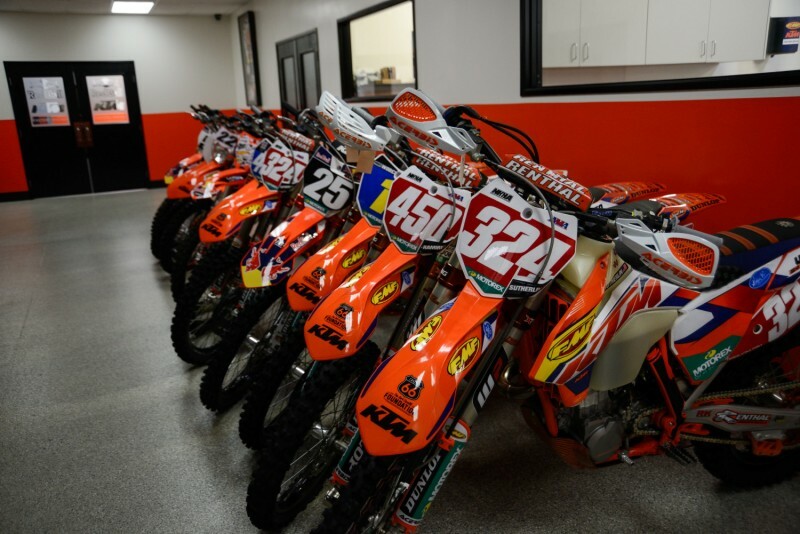 The engine comes into the factory services base, which is within the KTM USA headquarters facility in Murrieta, California, where it is completely stripped, cleaned and inspected. Once it’s back together it’s put on the dyno, which checks the engine is exactly where it should be performance-wise before it goes back to the team. Dudley explains how it works. Dudley spends most of his time in the machine shop with specialist expensive equipment that nobody else can really use. He repairs things that are broken, creates special tools and works on improving anything that can be improved. He’s quite a hand at repairing cylinder heads, machining valve seats, making fixtures and jigs to make jobs easier, as well as programming the state-of-the-art equipment to ensure continuity between engines, whilst also managing his team. The factory services program ensures the reliability of bikes representing the brand in a factory light, and it’s very strict so nobody can alter the engines. So far the program has worked well, and Dudley enjoys the success his dedicated team brings. “The biggest satisfaction is success, and to see a good and happy environment with happy workers. Generally the more people you have the more headaches you have, but my headaches are small. The main thing for me is making sure the team is happy, in as stressless environment as possible and that they have what they need to do their job. 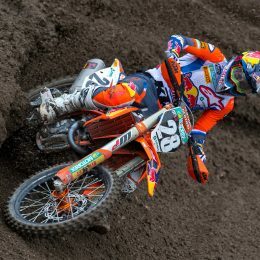 This generally means we can achieve the goal of getting on the podium at the weekend,“ concluded Dudley. I have a 2017 Munn Racing XC-F 250 and I wat to get a 42 spring for it. Where can I purchas one? Any help will be of a great assistance to the bike. 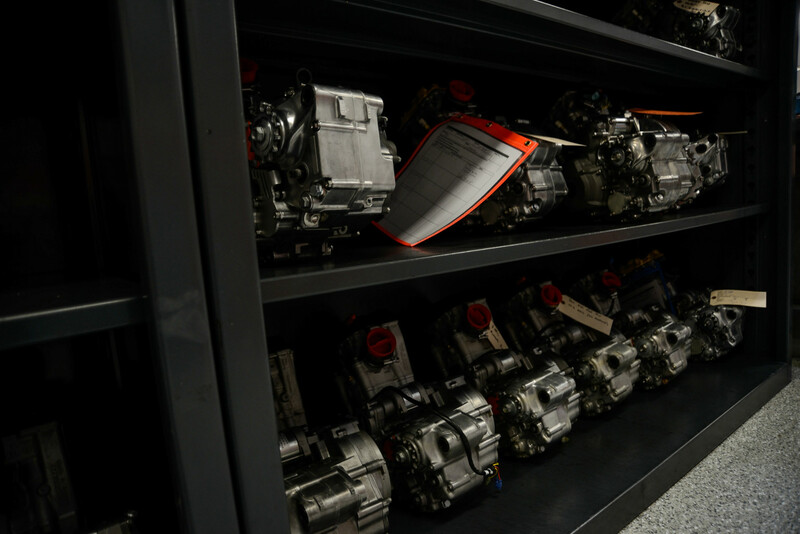 Please contact your local authorized KTM dealer for any questions regarding spare parts.